Low Pressure Injection Moulding is the process of over-moulding electronic devices with polyamides to protect them. 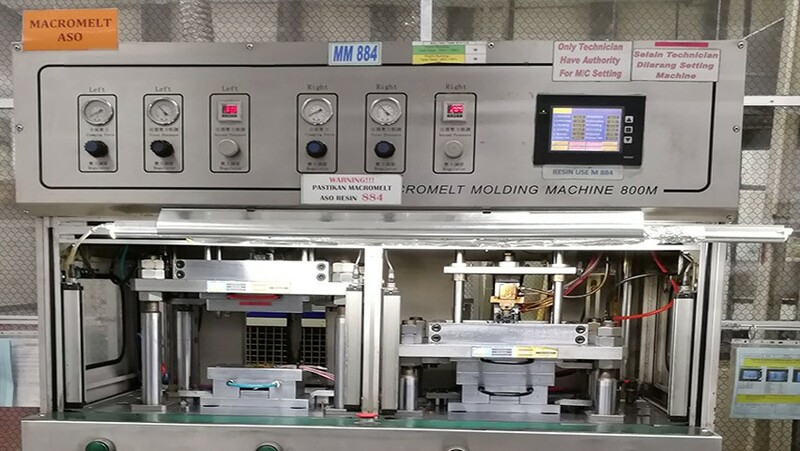 The PCB assembly or electronic part is placed in a specially manufactured aluminium mould tool, and completely surrounded with a liquid compound that effectively forms the housing for the device. Giken has developed the know-how for many years and we are supplying the completed products to our satisfied customer. We provide custom-made design to meet our customer’s product design and requirements at a competitive price. We are always innovating and inventing our processes to reduce costs so that we can offer a better pricing for our customer.